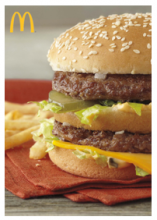 Living Social is offering a McDonald’s coupon booklet today. Pay $13 and receive one voucher booklet good for five Big Mac sandwiches and five large fries that can be shared and redeemed at any participating McDonald’s in the US during multiple visits (a $26 value). These coupons never expire. I’m not a huge fan of fast food. But I have to be honest, since I’ve been pregnant a Big Mac has been calling my name! Head over to Living Social and check out this deal and more. Daily deals Dec 1, 2011 in food, LivingSocial · Expired! I don’t think I’ve ever seen a deal on tires so I had to share it with you. 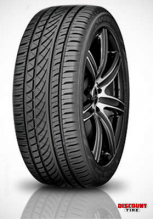 Head over to Living Social and check out this deal for Discount Tires. You get $100 worth of tires for only $30! You can use this voucher at any Discount Tires location or online. They have over 800 stores in 23 states. Visit Living Social to read the fine print on this deal! Update: I got an email from LS today telling me this was a National deal but I’m not so sure. I was told you can order online and pick up at your local location but I’d call ahead first! Daily deals Oct 26, 2011 in automotive, LivingSocial · Expired! Wow! We don’t see a deal like this very often! 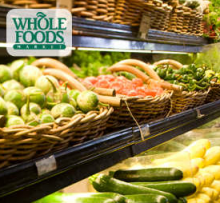 Today you can get a $20 Whole Foods gift card for only $10 form Living Social. Head over to Living Social and sign in or sign up now! This will sell out so grab it before it’s gone! Living Social is offering several “dinner and a movie” deals. You can get 2 Movie Tickets + $40 to spend on food and drinks for only $35! 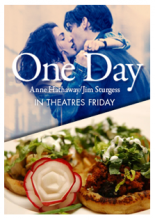 You’ll get 2 tickets to see the movie One Day plus dinner at a local restaurant. Head over to Living Social to check your location to see if they are offering this deal in your location. *HOT* Living Social: $1 for Lunch at over 100+ SF Locations! Want lunch for a buck? Today, Wednesday, July 13th you can pay just $1 for lunch at more than 100 locations in San Francisco. Living Social is launching a new product today called, LivingSocial Instant. For one day only, you can get the new Instant Deals for just $1. That’s right: burgers, burritos, crÃªpes, sandwiches, sushi, chicken wings, and more â€“ all for just a buck. Head over to Living Social and download the smartphone app. Dining on a dollar has never been so easy. Head over to Living Social and sign up to get in on this one day deal! I’m so excited, I just checked it out and there are some really great restaurants participating! I’m sure the “hot” ones will sell out quickly so get yours now! This is a one day deal! 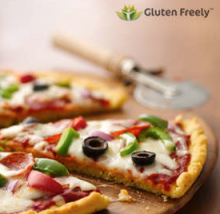 Daily deals Jul 13, 2011 in food, LivingSocial · Expired! Living Social has a fun deal today where you can get a 1-year subscription to Family Fun by Disney for only $5. PLUS you get a $5 credit from Living Social good on your next purchase! Once you purchase the 1-year subscription, you’ll be directed to watch a 30 second video by Windows 7. This will get you a $5 credit added to your account. Register with Living Social or login. Select “Tuscan Families” to see the Family Fun subscription offer. Watch the Windows 7 video to earn a $5 Living Social credit. Click Buy Now and the credit will be added to your account! Daily deals Jun 14, 2011 in entertainment, family, LivingSocial · Expired! Living Social has a great daily deal today. Perfect if you are still looking for that unique Father’s Day gift. Today you can get a $30 Red Envelope voucher for only $15. 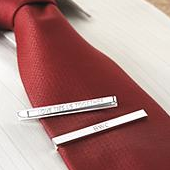 I took a look at there are some really great gifts for dad. You can also use this voucher for yourself, it doesn’t expire until September 13th. Head over to Living Social and check out this deal. This is an online deal that anyone can take advantage of. Select “Dayton” as the city. Daily deals Jun 13, 2011 in FathersDay, LivingSocial · Expired! I love it when these movie ticket deals come out just before the weekend. Plus, summer is upon us and the kids will be out of school soon. We all know this can get very expensive. Living Social has an awesome deal today. You can get two Fandango movie Tickets for just $9. * You have to use the Living Social link I provided to get this deal, you won’t be able to find it in a specific city. Daily deals Jun 10, 2011 in entertainment, Fandango, LivingSocial · Expired!